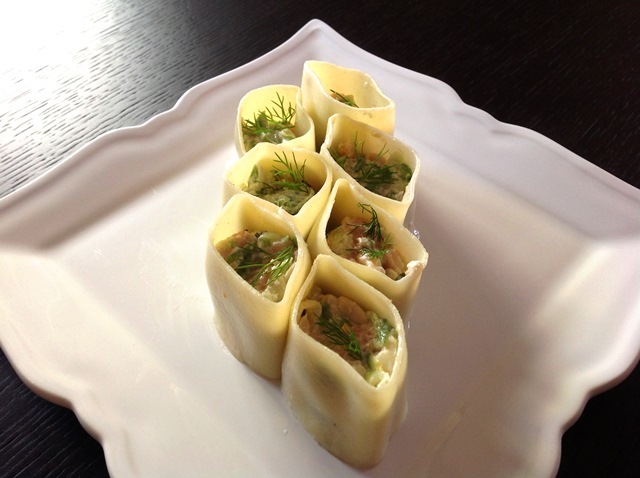 This is my 50th post so in order to commemorate the occasion, I thought I would create an index page with all the recipes. I didn’t do one from the beginning because it would look a bit sad with just a few lines under each category. 50 posts in over a year is not really that great, but it’s ok considering it’s just a hobby. 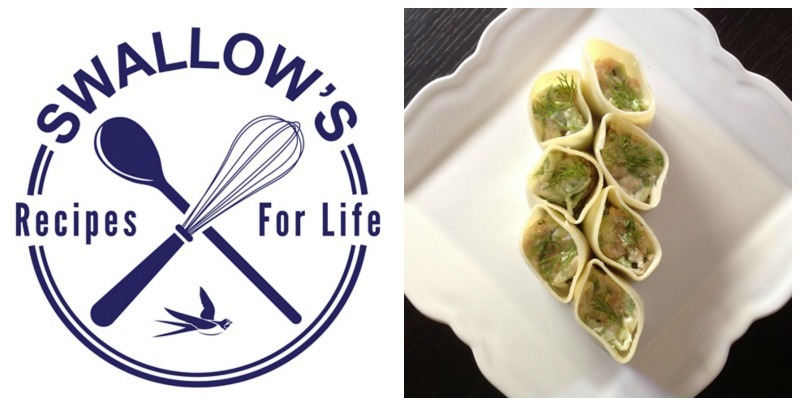 Food blogging is very time consuming, it’s not like other types of blogging. You have to find the recipes (either by researching or waiting for inspiration), do the shopping, do the cooking and plan very well so you can take photos before eating everything (this is not easy as artificial light is not a food photographer’s friend – which pretty much rules out dinner time pics). Then you have to try and make the photos look decent (in my case), then write something to go with the recipe, and finally, research other similar recipes from blogs in order to “share the love”. This is not compulsory, but it was suggested to me by an experienced blogger and I agree that it’s a great idea. One thing (of the many) I love about this world is how non-competitive it is. Everyone is encouraging, friendly and helpful, without the “if I help you then you will steal my readers” type attitude. Fellow bloggers, thanks for being lovely people! 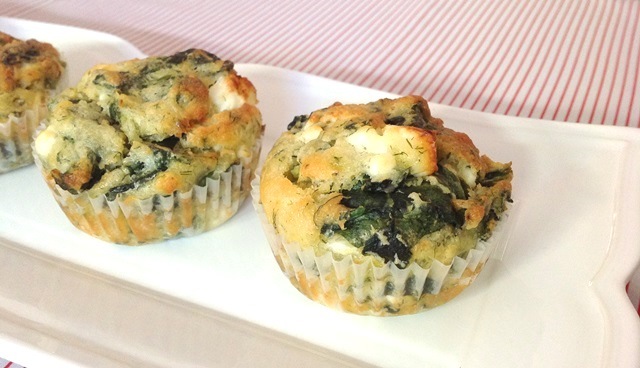 Of course I couldn’t post an article without something yummy attached, so here are the Spanakopita Muffins I mentioned in my previous post, served at The Mister’s surprise party. They are ridiculously easy to make, and offer with each mouthful a burst of spanakopita wonderfulness – minus the hassle of pastry. Don’t get me wrong, I adore pastry of all kinds. I could live on pastry alone (that’s probably why I’m now on a diet again…) but I don’t adore making it. It’s kind of intimidating… Anyway, moving on… This recipe is based on one by Eleni Psihouli, a well known Greek journalist turned cooking show hostess and food blogger. She made this as a cake, with double the ingredients. 1. Preheat oven to 180C and place paper muffin cases in a 12 hole tin. 2. Heat a non stick frying pan on medium high, add the spinach and cook for a few minutes till just wilted (without oil). 3. In a large bowl, mix the flour, baking powder, salt, pepper and nutmeg. I find the best way to do this is to use a whisk. 4. In a medium bowl mix the eggs, yogurt and olive oil till incorporated. Add to dry ingredients and fold in. 5. Add the onion, dill and spinach, and crumble in the feta cheese (keeping the pieces fairly big so they don’t melt during cooking). Mix till just incorporated. 6. Scoop into muffin tin (best way is to use an ice cream scoop) and bake for about 15-20 minutes, or until a toothpick comes out clean (double check in case the toothpick went through a piece of feta!). – Instead of all spinach you can mix in other greens such as kale or chard too. Whatever you fancy! The original recipe had parsley in as well, I didn’t have any. – These muffins come out quite oily! I wondered if it would have been best to use less oil, but in the end I think this helped them keep really well. Plus, proper spanakopita has tons of oil. – Don’t expect them to rise much. 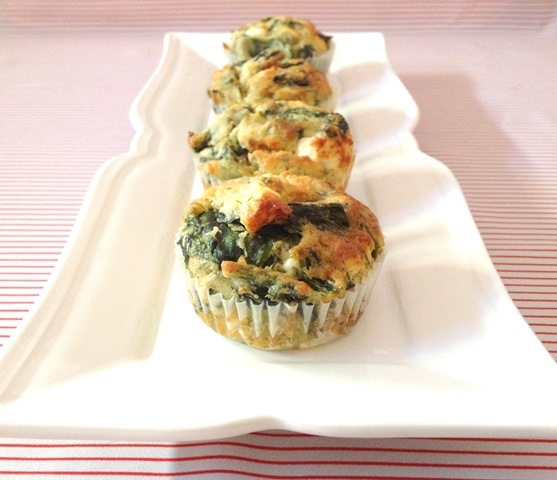 – The spanakopita muffins freeze fantastically well. Red Pepper, Feta and Oat Frittata Cake – A Power Breakfast! The other day I was looking through an old stack of magazine cutouts and pages printed from the internet, all containing recipes of course. I have a few of these stacks, waiting to be “sorted out”. They’ve been waiting a while and, let’s be honest, they will continue to do so for a good long time. There are always more pressing matters to attend to, like watching Law & Order. This recipe jumped out at me. It has 5 main ingredients and can be thrown together in minutes, literally. That coming from me is something, as I can never complete a recipe within the time mentioned. 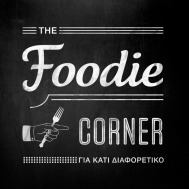 Written in Greek, the page had no reference to a site, meaning it was from my pre-blogging days when recipes were saved just to cook and eat, not to share online! A quick search remedied that and I found that it’s actually from one of the biggest food related sites in Greece called “Nistiko Arkoudi” which means Hungry Bear. Its title on the site is Oat Cake, but that just confuses things in English (oatcakes being an entirely different thing), and it’s not really a cake as it doesn’t contain flour of any kind! What it is, is a frittata baked in a loaf pan. So it looks like a loaf cake. Anyway, all that is besides the point. 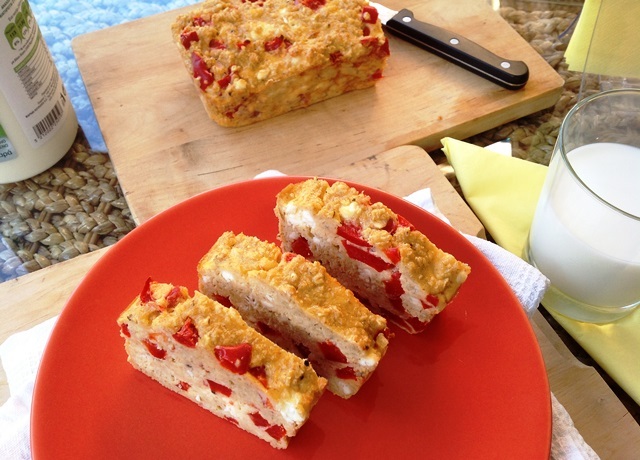 This frittata/cake/loaf is very tasty, and very healthy. It is especially good eaten for breakfast or as a snack, as it has loads of protein (eggs and dairy) and good carbs that release energy slowly throughout the day (oats). With the addition of a veggie (red peppers) you couldn’t make it more balanced if you tried! It will keep you full for ages. I added a bit of freshly cracked black pepper and a pinch of oregano to the mix, as I thought these flavours would suit it, leaving out the salt as I expected the feta to make it salty enough. Next time however I will add half a teaspoon to give it a boost. This of course largely depends on the type and brand of feta used. I might also experiment with other herbs as well, like rosemary for instance. Come to think of it, sumac might be interesting; I’ve heard it goes really well with eggs. One thing is for sure, I will definitely be making this frittata cake again, whatever the combo. Stored in the fridge it will last for at least 5 days, but it’s nicer served warm (I warmed it up on my toaster rack, worked a treat). 1. Preheat oven to 180C (160C fan). Grease a loaf pan (mine was 23.6×10.3cm – approx. 9”x4”) and sprinkle with a bit of flour. Move the pan around so the flour coats the bottom and sides, then empty it of any excess by tapping the bottom. This is an important step as egg tends to stick to pans. 2. Heat the oil in a small frying pan on medium and add chopped pepper. Gently cook till softened. I added some water when some pieces started to blacken. You could probably soften the pepper in a bowl in the microwave with a tablespoon or two of water. 3. While your peppers are cooking, lightly beat the eggs in a large bowl. 4. Add the feta, oats, seasoning and herbs, and then the peppers (without the liquid from the pan – I used that in a salad). Mix till incorporated and pour into the prepared baking pan. 5. Bake for about 20 to 30 minutes till a toothpick comes out clean and the frittata cake is starting to turn golden on top. Beet Greens and Red Pepper Frittata, by me!